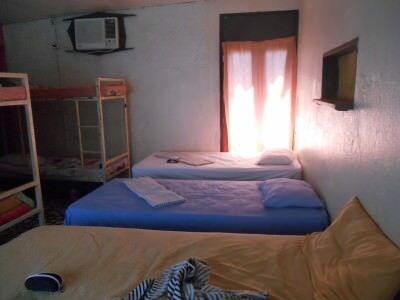 Staying at the ONLY backpackers hostel in East Timor! 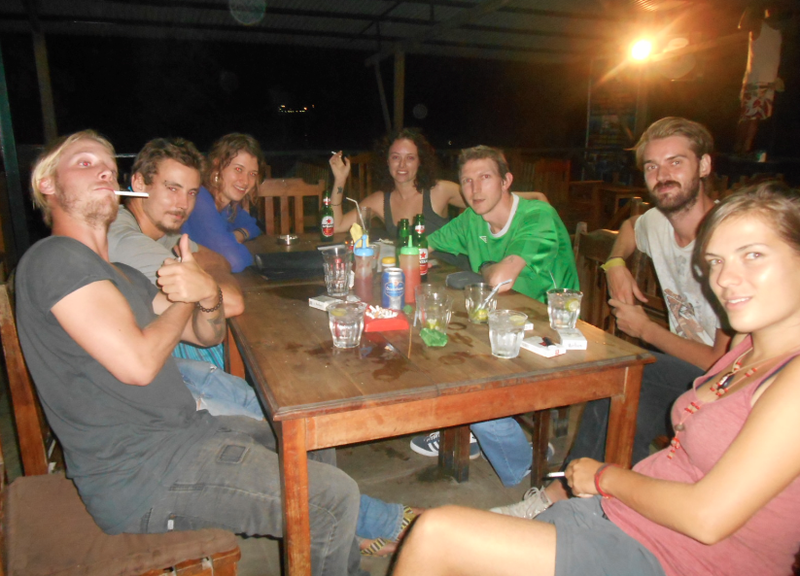 East Timor Backpackers in Dili. When I googled for hostels in East Timor, only one came up and it’s no wonder – there only is one hostel in the entire country! But mind you – that’s one more than North Korea! 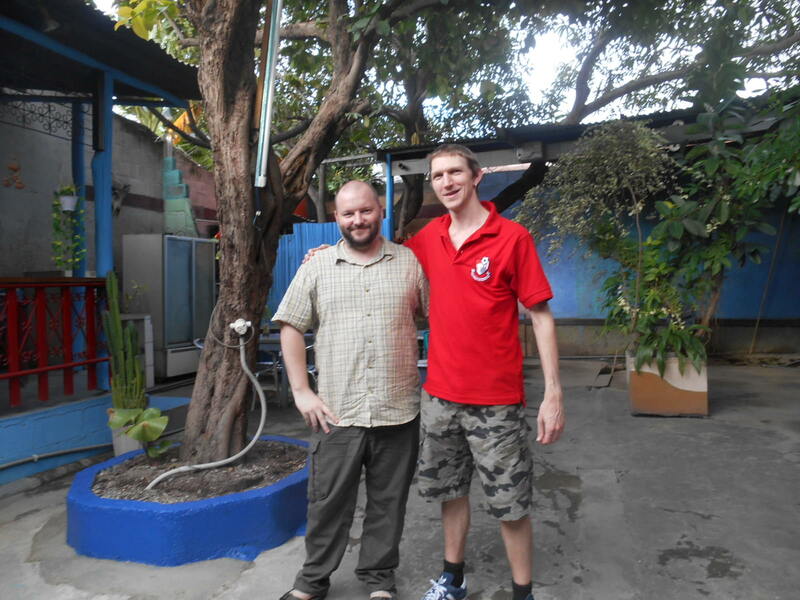 So naturally I stayed in the ONLY backpackers hostel in East Timor, known as East Timor Backpackers in Dili. Here’s an overview of this friendly, welcoming, relaxing and awesome hostel. This is the place to book when you go backpacking in East Timor. In a hot country like this, the rooms need to be well air conditioned and they are! I stayed in a 9 bed dorm which was cool. Doubles and singles are also available. My bed at the back in this 9 bed dorm. Cosy beds are well priced too – $12 US for a dorm bed or $70 US for an entire week. 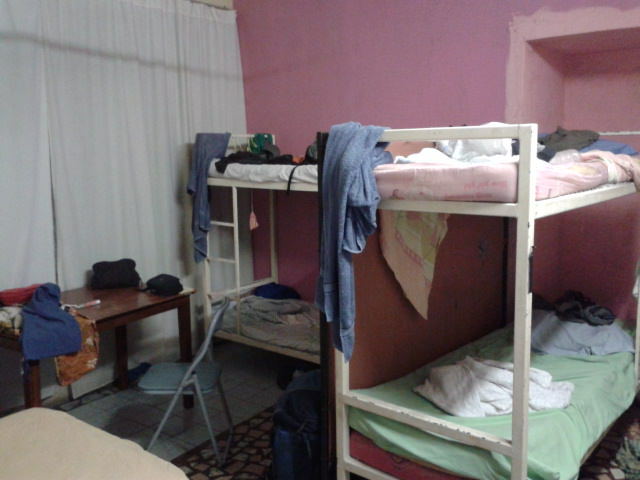 My dorm in East Timor Backpackers in Dili. 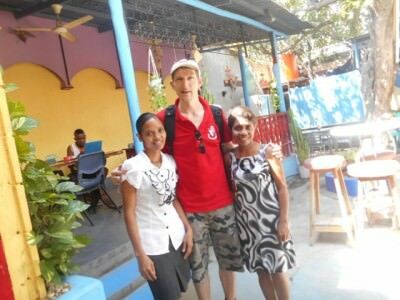 The staff at East Timor Backpackers are friendly, welcoming and helpful. The idea behind the hostel is the brainchild of Dan, from England. 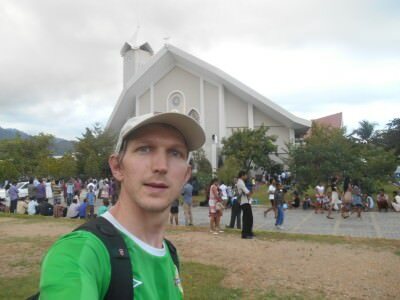 Dan was on a mission to backpack overland from England to Australia a few years back, but ended up loving East Timor and stayed here, got married to a local lady and now runs the only backpacker’s hostel in the country! Great story! With the staff in East Timor Backpackers in Dili – Rita on my left and Alcina on my right. Dan and Rita run the hostel and are the most welcoming and friendly hosts you could ask for. Dan himself has some truly epic travel stories from his own adventures through more than 70 countries!! He’s seen the mountain gorillas in Africa and crossed the China, Russia and Kazakstan borders on trains that the Lonely Planet tell you to avoid. Rita is constantly around making sure all the guests are happy. Dan and I in East Timor Backpackers. 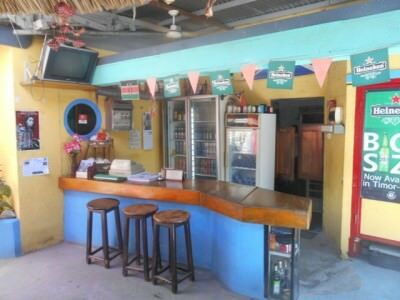 Relaxing is a way of life in East Timor and the beer garden in the East Timor backpackers is a great place to read a book, laze around, drink a beer and update your travel blog. Lots of space too! I loved it. 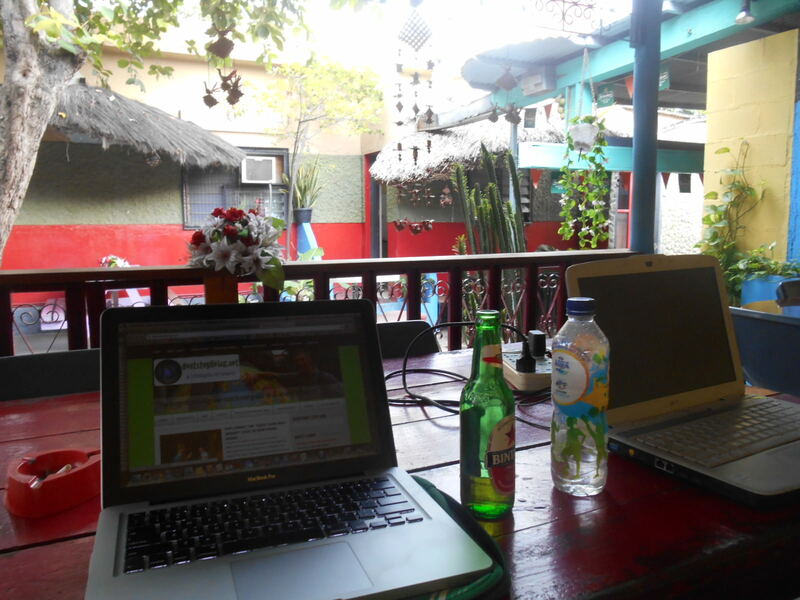 In the beer garden – blogging, relaxing and having a Bintang beer. As you know I always love the bonus of free tea and coffee in any hostel and in the kitchen, East Timor backpackers provides free tea and coffee. Coffee is what you want to try here of course – Timorese coffee is superb. Free Tea and Coffee in the kitchen. Again, hotels and hostels that charge for wi-fi make me cringe and I try to avoid staying in them. 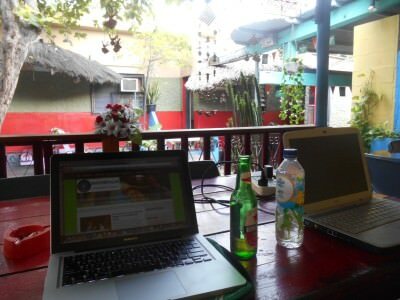 Thankfully Dan at East Timor Backpackers knows the score and free wi-fi is provided! Also for a country not renowned for decent internet connections, it’s pretty good – slow but reliable. Like all hostels, this is a superb place to meet fellow travellers. I met people from Canada, Germany, Belgium, Japan, New Zealand, Australia, Singapore, Northern Ireland, England, Netherlands, Switzerland and Sweden there. Had a great night out with them all too. Great night out with the hostel crowd. Arriving in a new country you’ll want a map. On arrival at the reception in the East Timor Backpackers you can get a free map which not only details all the best places in town, it features adverts for the restaurants and bars etc. as well as some tour companies so you can get things sorted for your travels in the area. 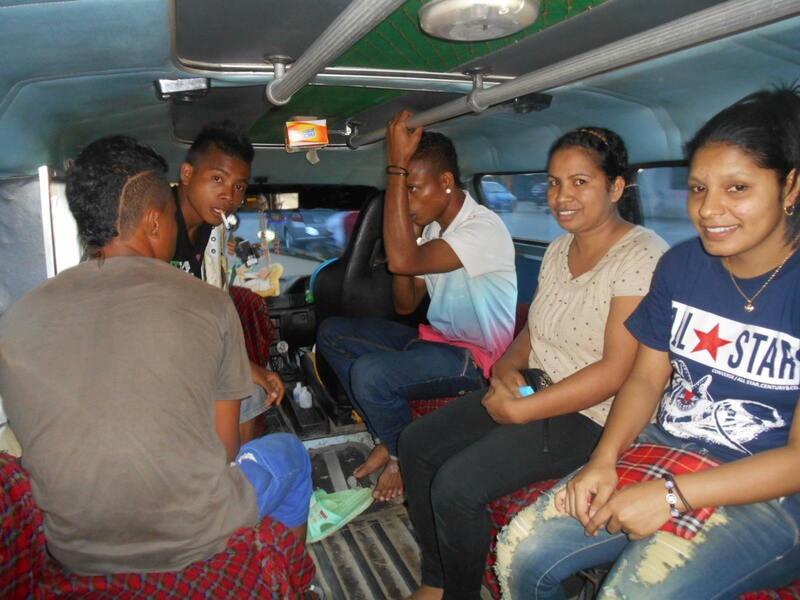 The location of East Timor Backpackers is perfect. For those wanting Indonesian Visas, the embassy is only round the corner, just up the street there is also a 24 hour supermarket/petrol stations that sells food and even alcohol around the clock. 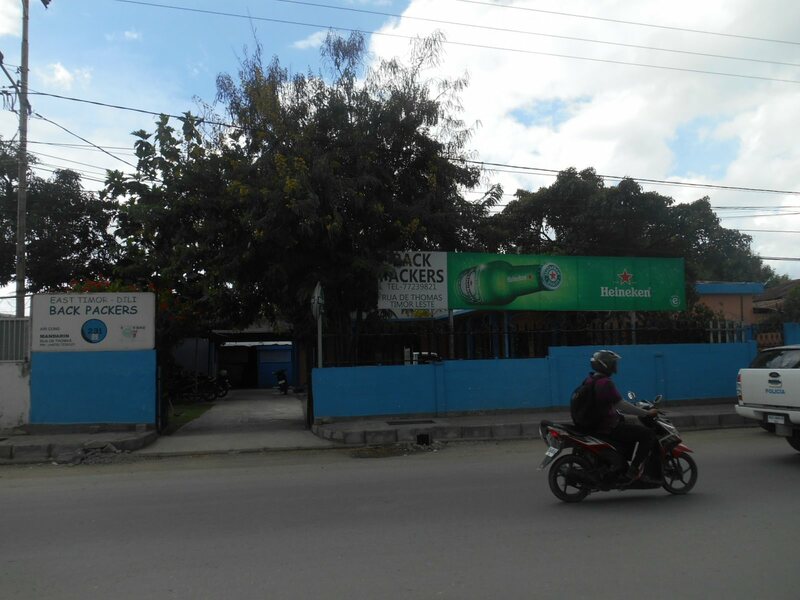 Great location on Avenida Almirante Americo Tomas in the Mandarin area of Dili. East Timor Backpackers is on the main road in an area called Mandarin. The street name is Avenida Almirante Americo Tomas. Regular “Micronits” (mini-buses) pass frequently through the day to get you across the city for 25 cents a time. Bargain – loved them! In the back of a microlet in Dili – 25 cents a ride. It’s also only a 5 minute walk from the main Cathedral, about 10 minutes from the Parliament and you can get to the waterfront in less than 10 minutes, for the epic boat trip to Atauro Island. The main Cathedral in Dili is nearby. I’ll hopefully get some more cool posts on East Timor up in the next few weeks! 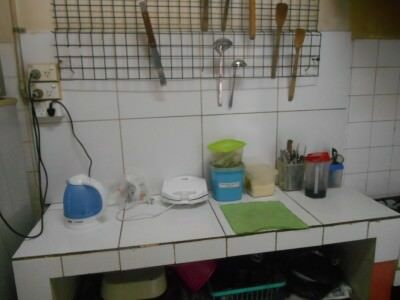 This entry was posted in Accommodation, Asia, Destinations, Dili, East Timor, Hostels. Bookmark the permalink. Good to know! And great that it’s still a good place to stay, despite the lack of competition.